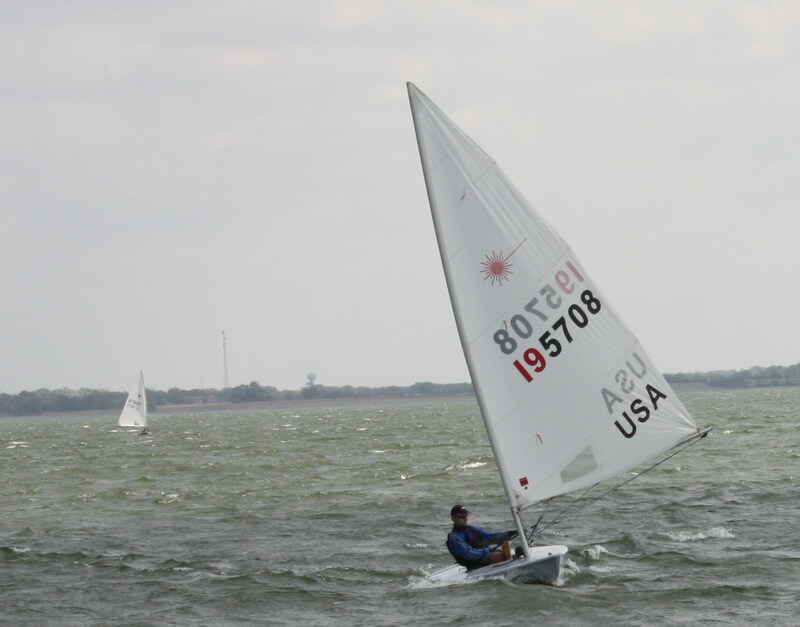 The local Laser fleet proudly proclaims that one of their own is the best Laser sailor in North Texas. But is he? 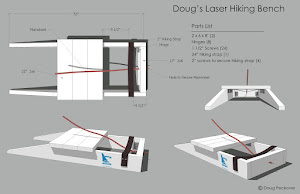 Doug hasn't sailed against the local Laser fleet in the past several years and recently decided to join the fleet. His application was declined stating that he wasn't good for the fleet. Perplexed, he decided to sail in their newly created "North Texas" circuit this weekend at DinghyFest and it all became very clear. 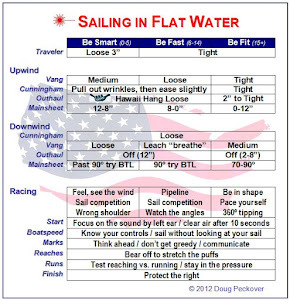 ﻿﻿Doug turns 61 next month and although an accomplished sailor, he hasn't done much recent lake sailing on a Laser and he is only a week into his training program for the Worlds. He is underweight, out of shape, his timing is all off and he is just generally rusty. Saturday started with an almost guarantee of 20+ winds all day so he was a bit apprehensive. By the end of the day the 60 year old man wearing a t-shirt with the big blue Butterfly on his chest was completely devastated. He would have worn his hat cam but he didn't have a zoom lens that would have even picked up his nearest competition. In his worst race, he finished about a minute and fifteen seconds ahead of his nearest competitor. He didn't get to try out any carving going downwind or any special go fast tricks or anything even remotely challenging tactically. Sailors that once offered a glimpse of competition had become depressingly slow and uncompetitive. The PRO later said everyone on the committee was asking why there was such a separation in Doug and the rest of the Lasers. 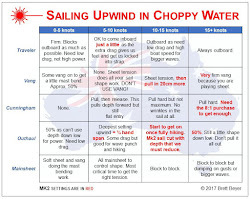 Clearly, the fleet's focus hasn't been on competitive sailing the last few years. Predictably, Doug showed up to sail on Sunday and was the only Laser sailor that came back. He was left to apologize to the race organizers for their apparent lack of interest. Except for Wurstfest, this is the end of Laser regatta season so Doug is looking forward to some good Butterfly competition before he begins his training program for the Laser Master Worlds.